If you’re planning a trip to Ogden this winter, don’t forget your sense of adventure. 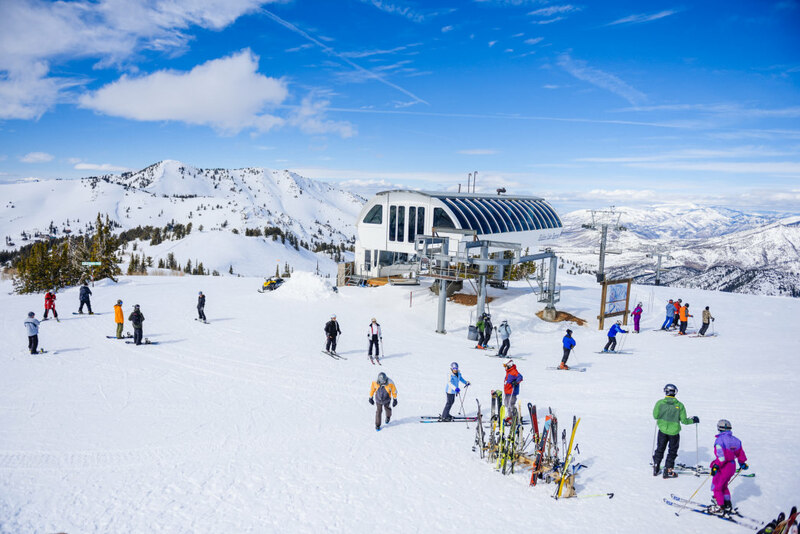 The town sits between the towering Wasatch mountains and the Great Salt Lake in Utah, making it the perfect basecamp for family-friendly fun. With everything from ski-covered mountains to winter festivals to dinosaur museums—and even indoor skydiving—there’s something for everyone. Ogden is a great place to take advantage of the winter weather and enjoy the unique offerings that the season brings. Here are nine of the best ways to experience Ogden with your family. The holiday season in Ogden kicks off the Saturday after Thanksgiving with the opening of the Christmas Village. The celebration runs until New Year’s Day and includes a dazzling winter wonderland filled with Christmas lights among a unique setting of cottages that are modeled after Santa’s Village. The festivities open with the Electric Light Parade filled with floats and performers and finishing with a fireworks show. Children can meet Santa at his castle on Mondays through Fridays from 6 p.m. to 9 p.m. and on Saturdays from 5 p.m. to 9 p.m. You can grab a cup of hot chocolate or a bite to eat a the amphitheater concession stand, and the Polar Express offers train rides for the kids. Take a 30-minute drive to Weber County’s North Fork Park, a designated International Dark Sky Park, for a night of stargazing. Bring a cozy blanket or two, a thermos of hot cocoa, and download a stargazing app on your phone ahead of time so you can easily identify the wonders above. Or take the family during the daytime to hit the trails for cross-country skiing and snowshoeing. Ogden Nordic grooms and maintains the trails, and rents classic skis, skate skis, and snowshoes for adults, teens, and children. You can also enjoy a 152-acre slice of wildlife right in the heart of Ogden by paying a visit to the Ogden Nature Center. It’s perfect for families and nature lovers of every sort, with plenty of walking trails, ponds, and picnic areas. Hang out in a bird blind to get a look at more than a hundred species of local birds that frequent the refuge. Before you go, check out the nature center’s website for special events and exhibits that might be going on. 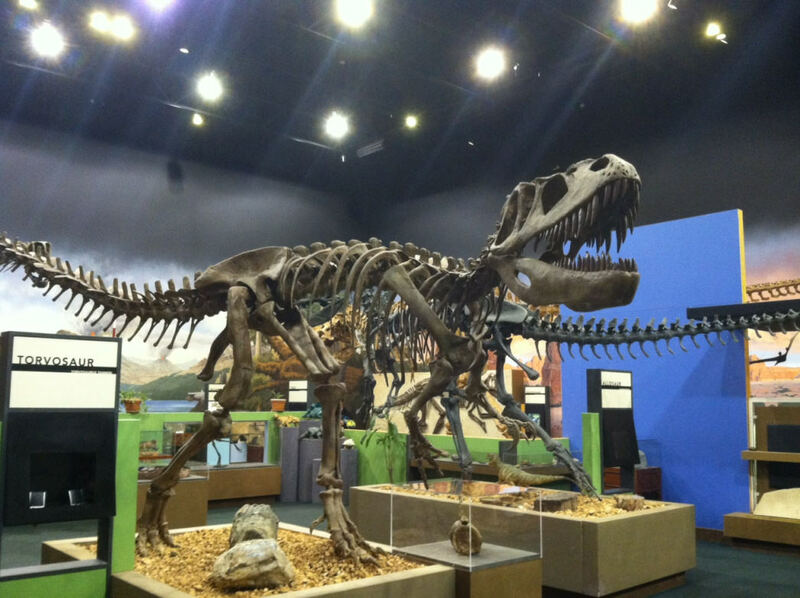 If you have a family member who is particularly fascinated by dinosaurs, the Ogden Dinosaur Park is a must-see. Along the park’s walking paths, adventurers will find over a hundred dinosaur statues modeled closely after actual fossils and brought to life with brilliant artistry, robotics, and sound effects. Naturally, there are plenty of things to climb on and play on, and there’s also a museum where prehistoric enthusiasts can brush up on their dino facts. There’s no better way to explore the winter landscape than by snowmobile, and Club Rec Northoffers lots of options for families looking for a thrilling adventure. The company rents snowmobiles at its Monte Cristo location, about 45 minutes from Ogden and 17 miles east of Huntsville on Highway 39. 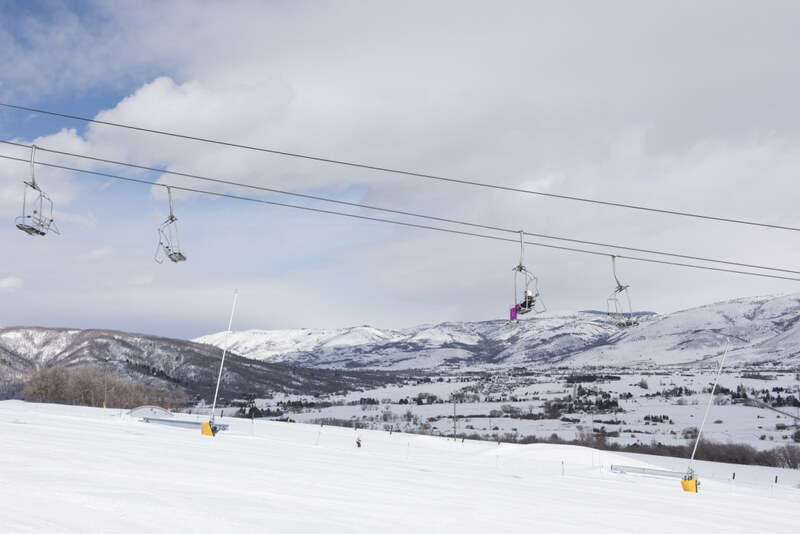 You’ll find some of the best riding in the Wasatch range here, with huge open meadows, hills, and breathtaking scenery. Keep your eyes peeled for moose, elk, mule deer, fox, and eagles. For an incredible trip, take advantage of one of their tours, including the Top of the World (featuring a ride to the top of the Monte Cristo mountain range with great views into the Ogden Valley, Idaho, and Wyoming) or the Wildlife Tour (focused on seeing wild elk, deer, and fox, among other animals). If you prefer non-motorized sports, Club Rec North also offers tours on cross-country skis and snowshoes. 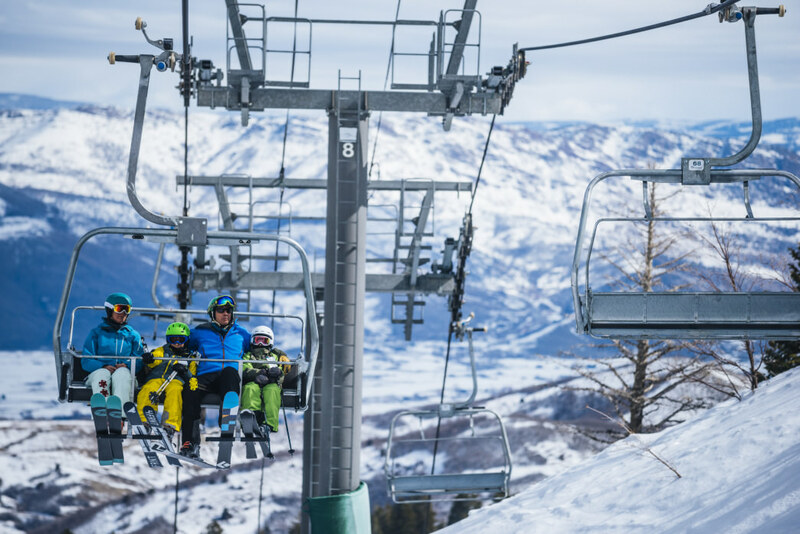 The skiing at the world-class Snowbasin Resort and Powder Mountain both offer enough easy trails that are appropriate for both kids and beginners. 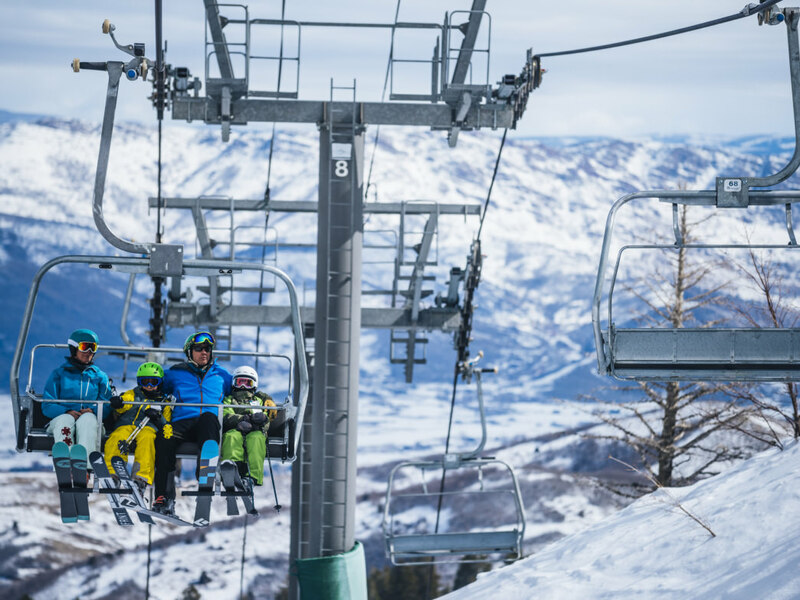 They have excellent ski schools offering skiing and snowboarding lessons for all ability levels, so parents and kids alike can sign up for a class. Nordic Valley keeps the excitement going after the sun goes down with 100 percent of the mountain open for night skiing. If you’re not skiers (or even if you are), take a sleigh ride through Bailey’s Sleigh Rides in the nearby town of Liberty. Beautiful horses pull the sleds while you take in the stunning winter setting (you might even see a few reindeer and elk along the way!). The oversized, old-fashioned sled can carry the whole family—just call the company to reserve in advance. Of course, Ogden isn’t only about outdoor adventures. When the weather’s foul or you just want a change of pace, there’s plenty to do, and the Salomon Center is one of the best places in town. They’ve got indoor rock climbing, bowling, and other indoor activities that will keep the kids entertained for hours. 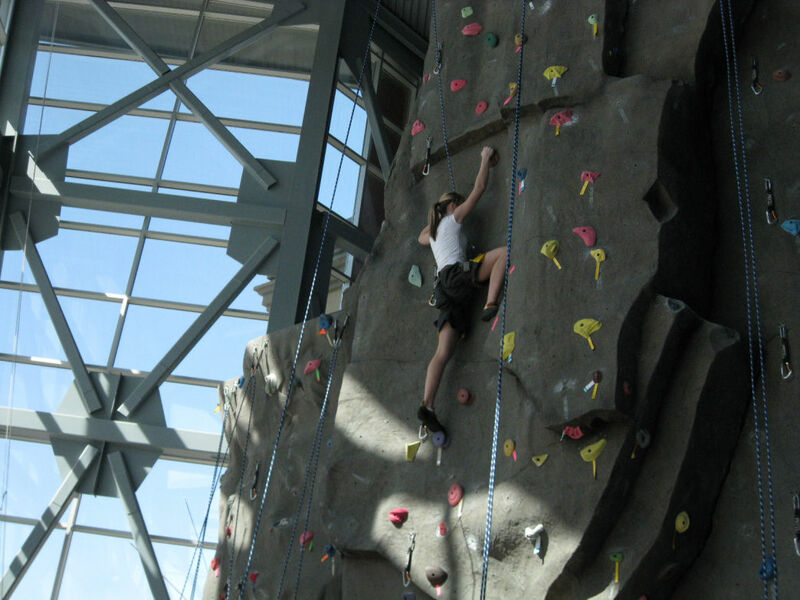 Take a rock climbing tutorial at iRock and try your hand at top-rope climbing on walls that go as high as 55 feet. The Center’s Flowrider surf wave is an incredibly fun indoor surf wave, where participants can don their swimsuits and boardshorts and practice dropping into the wave and carving on a board. Ever wanted to try skydiving? At iFly Utah, you can experience the sport without going anywhere near an airplane. 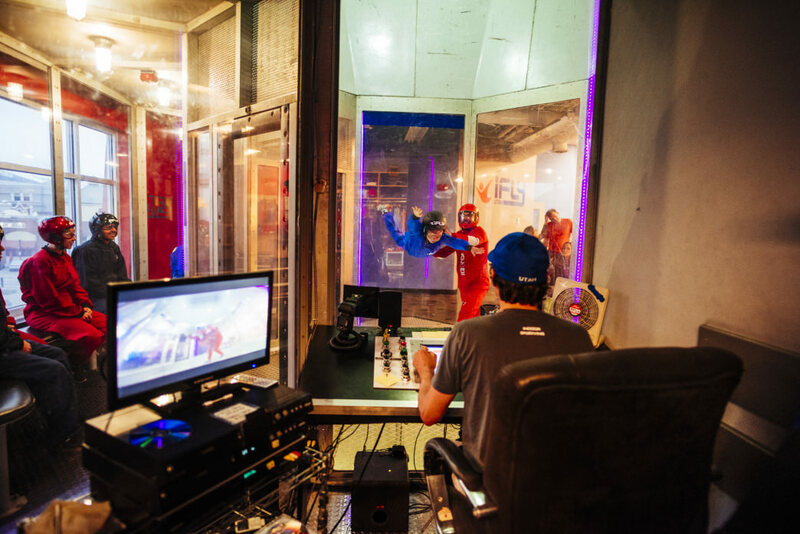 The facility offers indoor skydiving in a giant wind tunnel that replicates the sensation of free-falling. (Don’t worry, there’s a soft net for safety!) You can get the thrill of skydiving without having to get more than a few feet off the ground. Take a day to explore the Treehouse Museum, which offers 30,000 square feet of exhibitions, play areas, educational opportunities, storytelling, crafts, and games. Visitors can explore multiple levels of the museum space, with one giant tree serving as the center of it all. There’s so much to go through that you’ll want to plan some serious time for Treehouse-ing. These nine activities will get you started, but there’s far more to do in Ogden—enough to warrant many days of exploration. But hey, now you have a reason to come back! For even more ideas, check out VisitOgden.com.